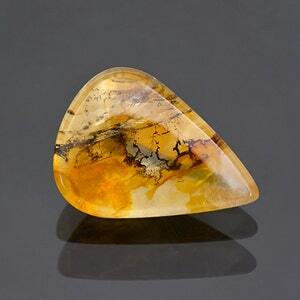 Dendritic Quartz stones are comprised of Iron Oxide (Orange) and Manganese Oxide (Black) inclusions inside the stones that make some very beautiful patterns. 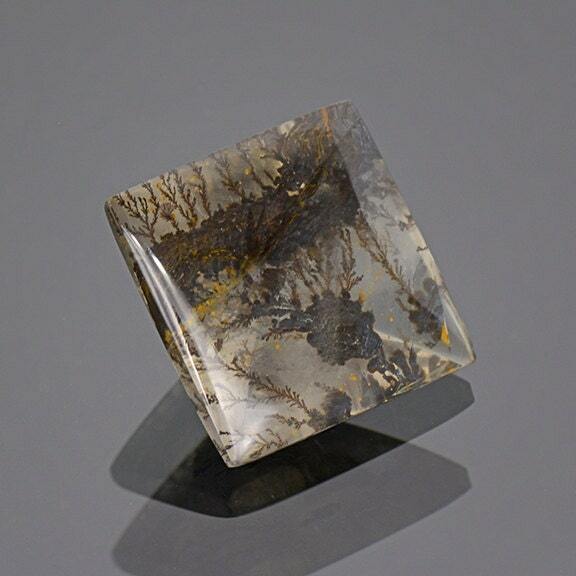 The word Dendritic comes from the Greek word "dendros" meaning tree, as the inclusions in Dendritic Quartz typically resemble plant life. 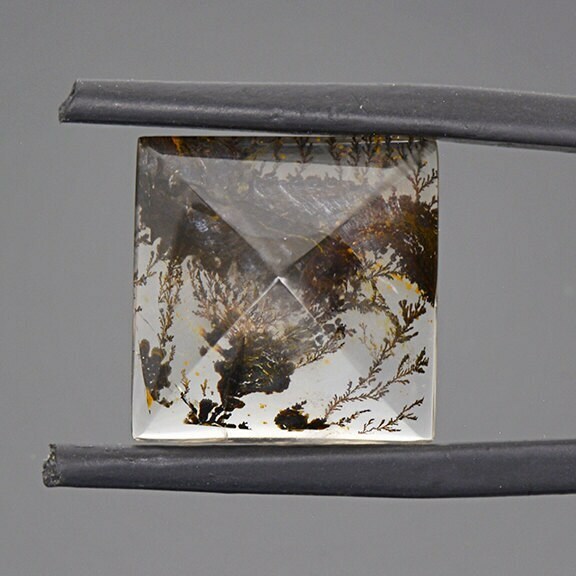 What you typically look for in these gems are beautiful patterns and clear, clean Quartz. This stone displays some of the finest examples of both qualities. 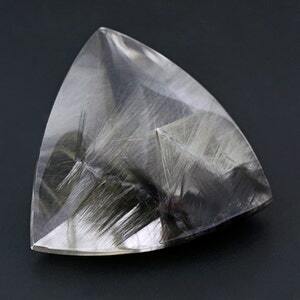 The Quartz is nice and gemmy and the pattern is so intricate and unique. 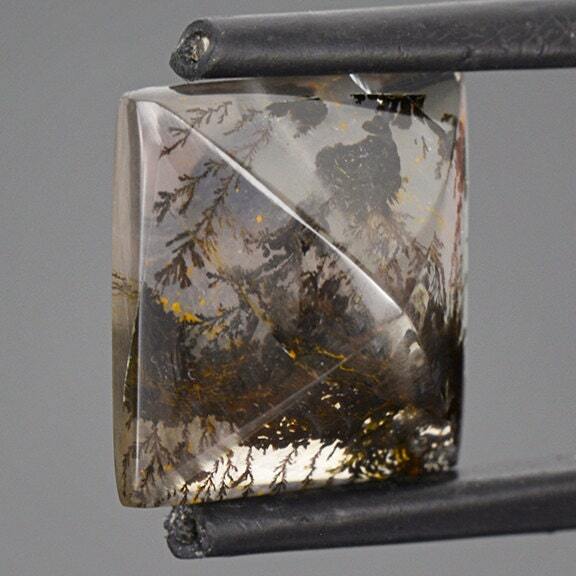 The inclusions in Dendritic Quartz gems are 100% natural and untreated. This piece was cut to be set into a unique and bold ring that will absolutely be one of a kind! Enjoy! 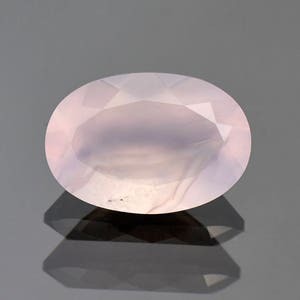 Lovely Light Purple Chalcedony Gemstone from Mexico 9.52 cts. 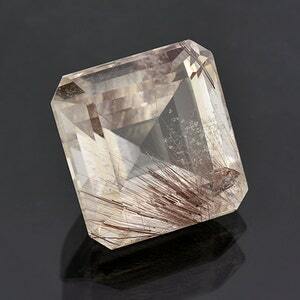 Large Quartz with Rutile Inclusion Gemstone from Brazil 58.29 cts.